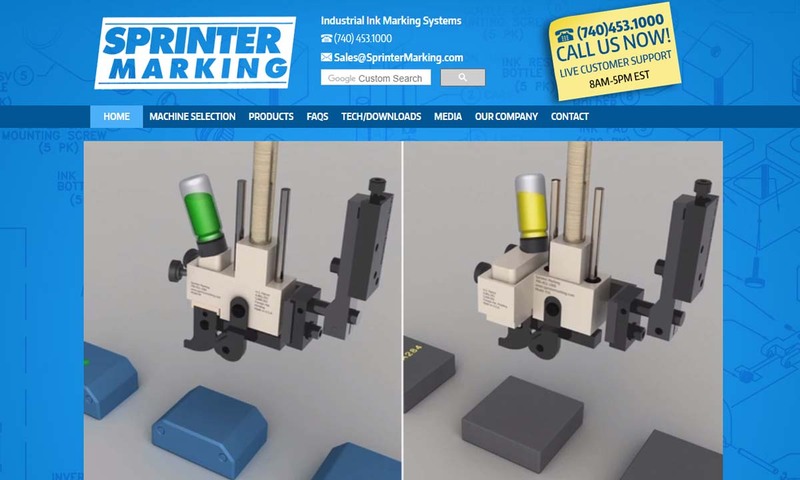 A reliable source for Marking Machinery Manufacturers information and a resource for accessing leading Marking Machinery Manufacturers and suppliers. Marking machinery is any machinery or tool used to create markings on parts and products. Markings such as these include designs, images, logos, identification codes, and more. Part marking has a wide range of applications. First, it can be used to value products, maintain quality control, deter counterfeiting, ease the returning of products, and create increased customer recognition. Many common everyday products, such as credit and debit cards, packaging and storage boxes, electronic and consumer parts, etc. are marked for these reasons by marking machine manufacturers.  In fact, as the necessity for accurate product identification grows, most businesses in the automotive, medical, and aerospace markets refuse to even consider purchasing inadequately marked products from suppliers. Marking Machinery Marking machinery is any machinery or tool used to create markings on parts and products. Markings such as these include designs, images, logos, identification codes, and more. We specialize in creating marking machinery that is completely reliable. We have been involved with manufacturing code-marking products for decades which means our teams are highly skilled to produce the best products on the market. We are dedicated to providing our customers with an extensive line of marking machinery including products such as dot peen machines, hot stamping machines, marking tools and an assortment of other products. 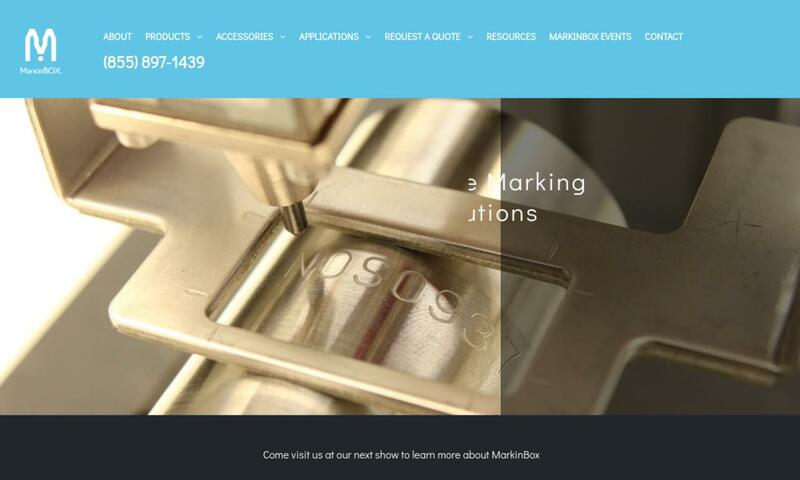 MarkinBOX is an accomplished company that is recognized for its ability to supply some of the best product identification solutions on the market. We use critical manufacturing practices to engineer these durable systems. At Automated Marking Solutions, our team of experts is ready and willing to tackle any of your challenging assignments. We supply marking systems for a multitude of industries. 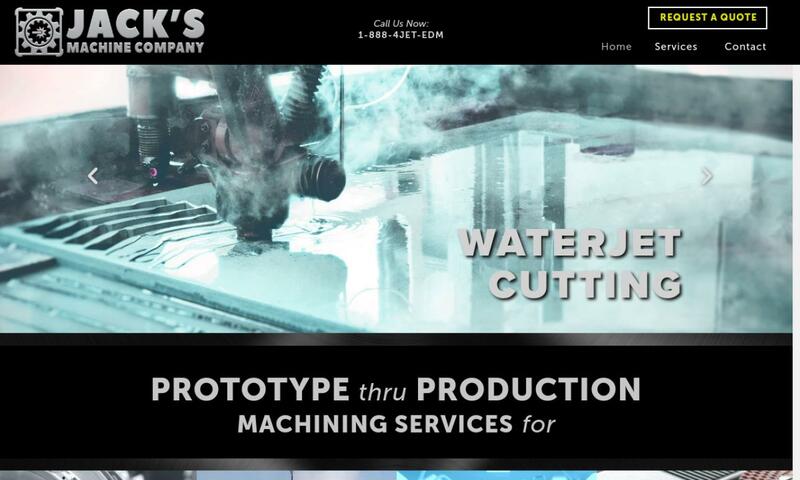 Jack’s Machine Company has the capabilities to find solutions to your direct part marking needs. Our laser marking system can add permanent embellishments and information that will retain legibility even under the harshest conditions. Humans began marking items long before they developed modern machinery. The earliest example we have of engraving was made between 430,000 and 540,000 years ago. The artifact is a chiseled shell, found in Indonesia. After this remarkable finding, the next oldest found artifacts are ostrich shells with engraved bandings that were likely made around 60,000 BC. These shells, which paleoanthropologists believe early humans used as water storage containers or cups, were found in Diepkloof Rock Shelter in South Africa. During the Upper Paleolithic period, people around the world engraved ivory and bone with depictions related to their lives and cultures. After this, starting in the 1st Millennium BC, humans began metal marking using techniques that allowed for shallow grooves, such as lost-wax casting and chasing. It was around this time that they also began engraving gemstones as jewelry and decorative pieces. If we fast forward to the 1st century AD, we will find that within this time, people had advanced to marking glass vessels. Glass cutting was particularly popular among the Romans. Its popularity waned after about 500 years. Centuries later, as Europe emerged from the Dark Ages, Middle Age metalworkers began engraving decorations and signatures onto their work. In 1430, the Germans began using printing plates, so that they could somewhat quickly print designs on to metal. Engraving was extremely popular among the Germans and the Italians for the majority of the 15th century after this. Towards the end of the 15th century, Europeans discovered etching, which then edged out engraving. German metalworkers in particular were fond of etching decorations into items such as guns, armor, plates and cups, using iron plates. During the early 1600s, French printmaker Jacque Callot invented an etching needle called the échoppe. The needle was unique because it featured a slanted oval point. With it metalworkers and artists could imitate the swelling lines that they could previously only achieve with engraving. During the 20th century, governments around the world sought to standardize the market and create conformity standards for marking machinery. For example, in the European Union in 1984, legislators commissioned the CE mark. The CE mark, which alludes to the Conformité Européenne (European Conformity) standards, as they are informally known, is a literal mark that can be found on compliant products and equipment. Meanwhile, in the United States, Canada and other nations, legislators followed suit with their own conformity standards and versions of the CE mark. Even since then, marking capabilities and applications have grown by leaps and bounds. A big part of what they do today assists in the creation of delicate electronic markings. Both engraving and etching are still popular today, and while some people do perform these tasks by hand, they are largely performed using CNC machinery. Marking systems are made up of the machines used to emboss, etch, stamp, or print designs on many different surfaces. They employ many techniques and marking tools including laser markers, press markers, dot peen machines, and nameplate markers. Other marking tools include presses such as embossing machines, engraving machines, roll or rotary marking devices, hot stamping machines, numbering machines, and etching machines. Laser marking is an environmentally friendly process that utilizes a high energy beam of laser radiation (usually from a fiber laser) to directly mark the surface of materials. Types of laser markers are classified according to the length of the beam and this length is determined by the properties of the material being marked and how well the material responds to laser energy. Press markers, or presses, can make fast, permanent marks, but they are not very flexible and are time consuming to set up. They also cannot be used on hard or fragile parts and can be dangerous to operate. Dot peen machines, also known as dot marking machines or pin mark machines, mark, or peen, objects with a sequence of closely spaced dots. They do so using a fast and accurate micro-percussion mark system, which uses a tapping pin. Dot peening does not create stress on the substrate or remove material. Nameplate markers, as their name suggests, are used to stamp or engrave nameplates. Mostly, these are metal nameplates placed on the desk or outside an office. Embossing machines mark ductile material like plastic and leather with a 3-dimensional image using heat and pressure. This imprints product information on the surface of the material causing permanent deformation. Credit cards are marked with this process, resulting in upraised numbers and letters. Engraving machines are similar, but they are able to cut grooves into much harder surfaces like metals. Jewelry is processed with engraving machines. Roll marking equipment uses round dies that they physically roll onto the product to be marked. Roll marking equipment is more affordable than many other equipment that works with high tonnages. Hot stamp presses consist of a stamping foil, a hot plate and a metallic stamp or die. To use them, manufacturers heat the metallic stamp with the hot plate, then press the stamp and the stamping foil onto the surface of the part to be marked. Hand stamping is done by hand. It cheap and easy to implement, as it does not require expensive machinery or highly skilled operators, but it is labor intensive and inconsistent. Numbering machines are marking devices used to print consecutive numbers on papers, mostly for legal documentation purposes. Printing machines are also used for marking the surface of flat products. Printing machines generally make ink marks. Industrial inkjet printers are a type of printing machine. They are larger version of printers used at home and in the office. Inkjet printers are much faster than many other types of marking machinery but are an impermanent and environmentally hazardous solution. 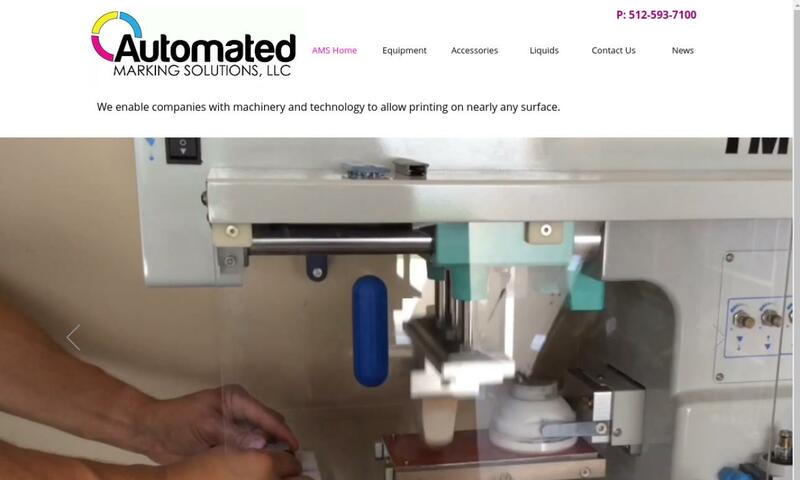 Pad printing machines allow users to print 2D marks on 3D products. These printers use silicone pads to transfer images from a printing plate to a product’s surface. Most often, marking machinery customers purchase them in order to mark products like electronics, toys and medical equipment. Chemical etching involves removing material using corrosive acids or bases. It involves five basic steps: cleaning, masking, scribing, etching, and demasking. It is inexpensive, but it too provides inconsistent results so it would only be advisable to use it on a less precise product or material. Plasma etching is divided into two categories: vacuum type, the most common process, and normal-pressure type. In the vacuum type, plasma is generated from gases, such as oxygen, under vacuum pressure to activate the molding surfaces. This type is the most effective for the purpose of surface modification but is inferior in workability, since it must be a batch process and can cause deterioration of the moldings if the processing time is too long. Marking machinery may feature a number of different components, but most choose from the same pool of possibilities. For example, often, these machines employ specialized marking tools like scribers, press stamps, steel stamps, rubber stamps, printing plates, and other markers. Scribers are components of any machine that ingrains a mark on material. They are thinly shaped and can be made of metal, diamond, or lasers. Press stamps are plate components used in a stamping machine. Typically, they are powered by hydraulic or pneumatic power. Steel stamps are used with low volume applications. They mark products by hitting or pressing a material, causing an indentation. Hot rubber stamps are very similar to steel stamps, except these plates are made from a heat-resistant rubber or silicone, instead of steel. Marking machinery offers its users many benefits. First, it is much faster, more accurate, and more repeatable than traditional hand stamping. Second, as it can produce marks for tracking parts within whole manufacturing processes, it is an invaluable element in quality assurance. Third, marking machinery is highly customizable. No matter your requirements, manufacturers can build something to meet them. When designing marking machinery, marking machinery manufacturers must consider a number of application aspects. These include the type of markings you require (deep cuts, delicate decorations, precise cuts for electronics, etc. 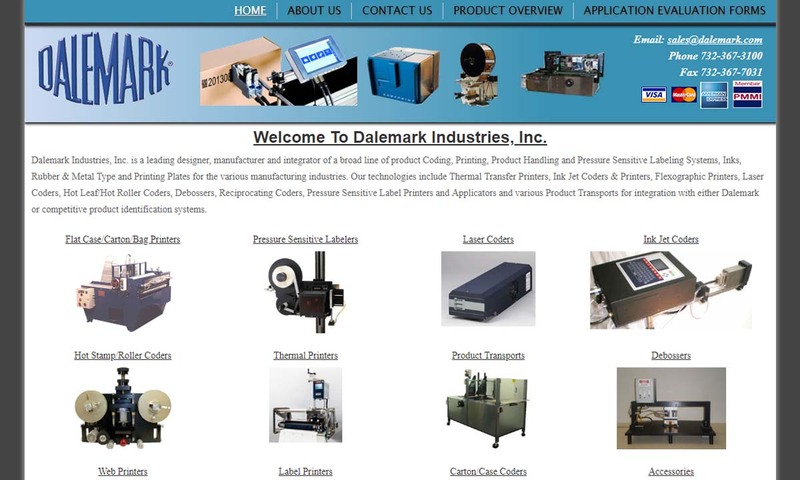 ), your product material, your product volume, your system size, whether or not you will be integrating your marking machinery into a preexisting production system, and the conformity standards your equipment must meet. These application details help them decide what type of mark system they will design for you and the marking tools they will install. If, for example, mark placement and alignment are important to you, or if your marking system is to attend to large volume of products, manufacturers will likely design you a comprehensive marking machine system. 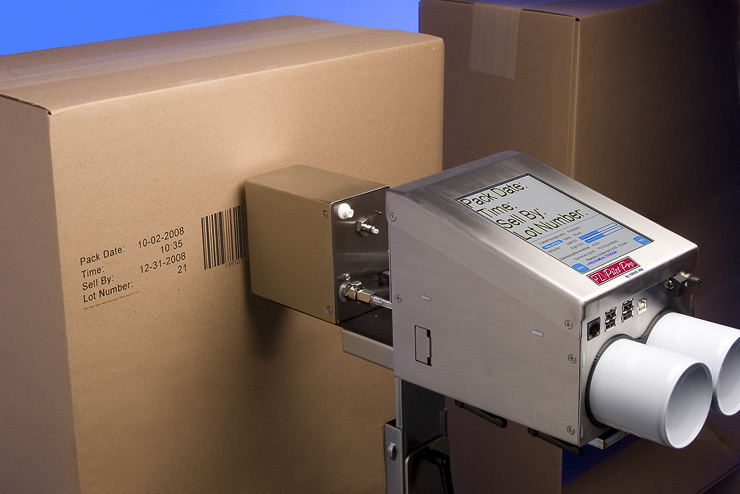 Before determining which marking machine is appropriate for an application, consider the cost of spare parts of the marking machinery, the difficulty of maintenance, the size of the marking system and the degree of difficulty of integrating the system with other production equipment and systems already in place. Because markings are so important, you must purchase marking machinery that meets certain high-quality standards, and you must maintain it so it continues to meet those high standards. For example, all marking machinery used in the United States must meet OSHA safety requirements. In the United States and abroad, it’s important that your marking equipment meet the standard directives of organizations such as ISO (International Standards Organization). Also, any machinery to be used in the European Union or any machinery that will make products for the European Union must have the CE mark. The CE mark is a quality assurance stamp, signifying that your equipment has undergone testing per official conformity assessment procedures, and is up to code on all EU environmental, health, and safety directives. If you are interested in purchasing marking machinery, you need to talk to a marking machinery specialist. To help you on your way, we have put together a list of the top marking machinery manufacturers on the market. We trust all of those we have listed here. Of course, that doesn’t mean that each and every single one will work for you. Each one offers something different. To figure out which company is the best for you, you need to take some time and study their profiles. Note which manufacturers seem to offer the services you need within your budget. Pick out your top three or four, and the call each of them to discuss your application. Leave no stone unturned. Discuss your budget, deadline, delivery requirements, and standard requirements. Once you’ve spoken with each of them, compare and contrast your conversations and determine which manufacturer is right for you. Good luck!